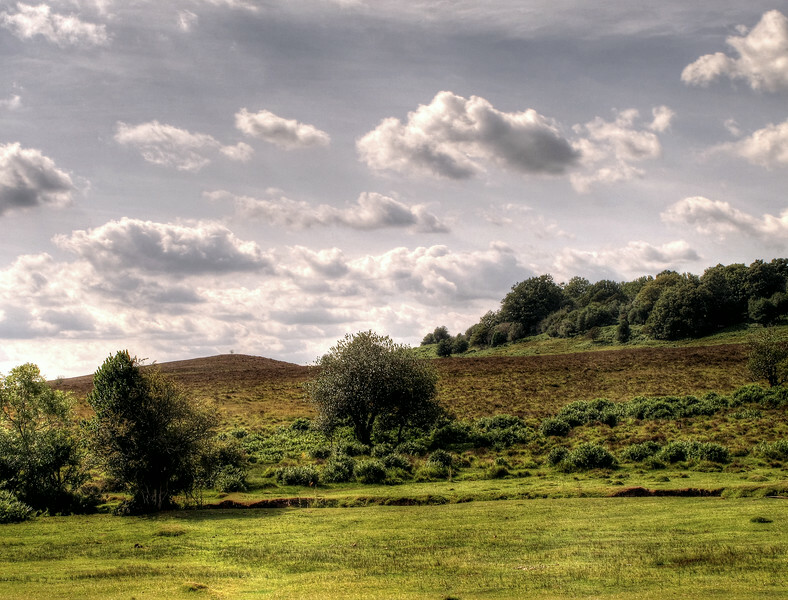 These are a few photos in the open areas of a sunny walk in The new Forest. There were lots of ponies in evidence and on the way there they all seemed to want to stand in the road! 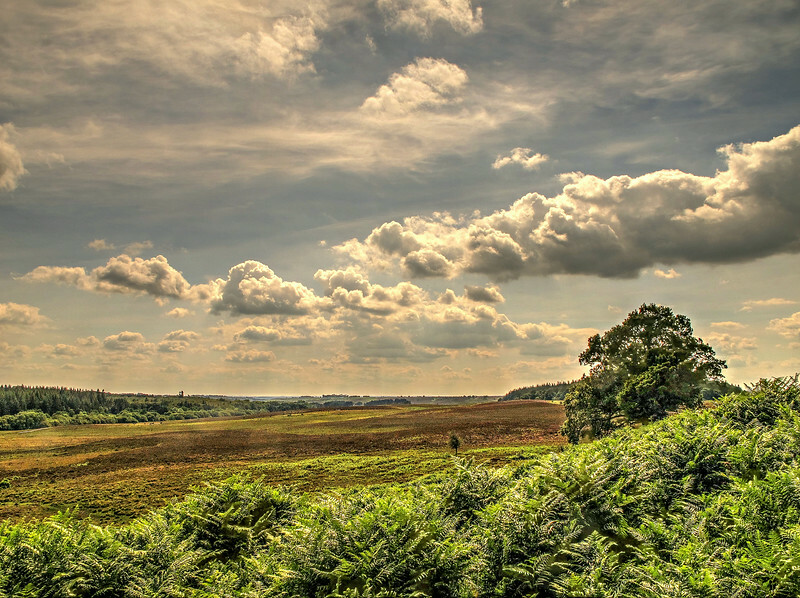 The view up from Woodford Bottom showing the Eastern end of Hasley Inclosure. 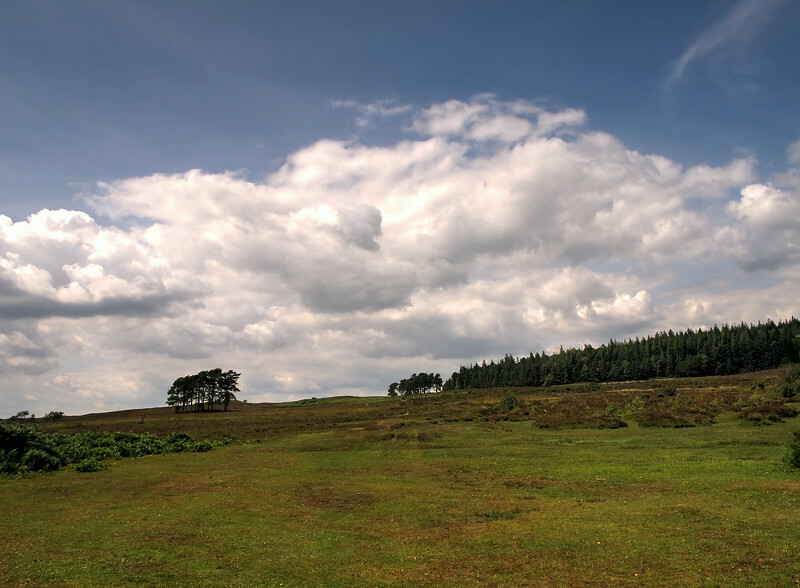 A cottage in a beautiful situation, on the edge of the open heath and only yards from the High Corner Inn! 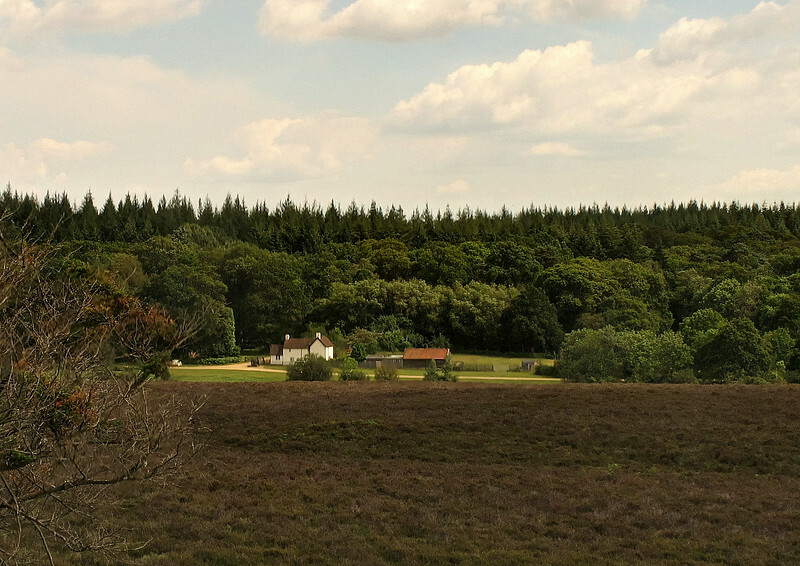 The view Eastward from the sight of The Royal Hunting Lodge in Sloden Inclosure. 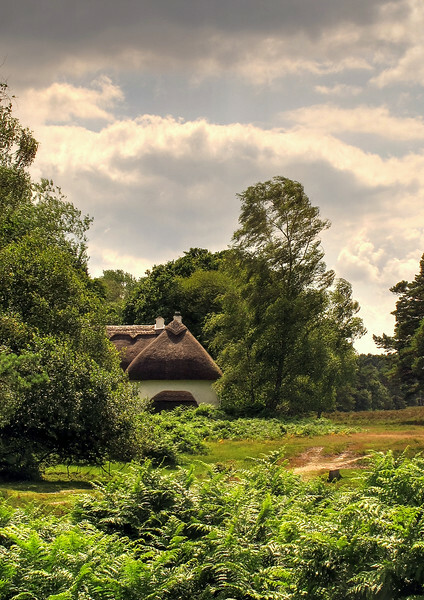 From Sloden Inclosure looking across to Holly Hatch Cottage. 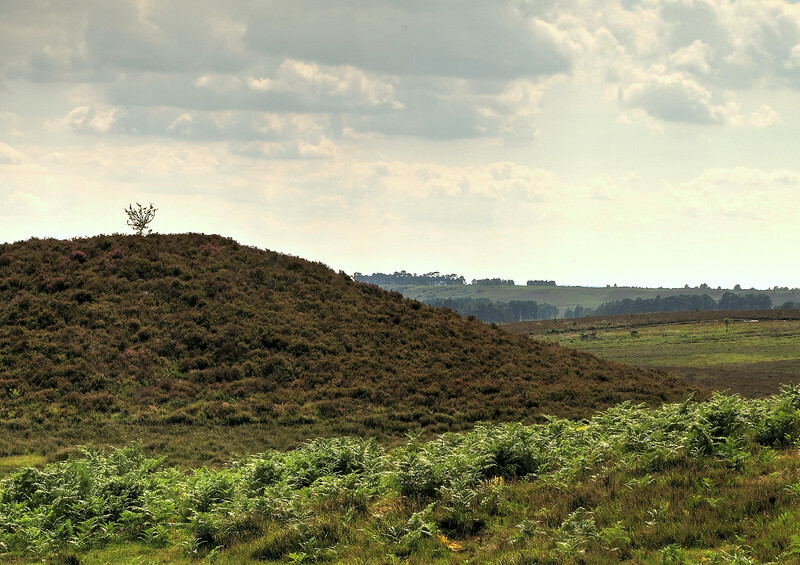 Ragged Boys Hill - "Ragged Boys, In Norman French, Raget Bois, the hill of the stunted trees"
From the green in front of Holly Hatch Cottage looking across to Ragged Boys Hill, and to the right the hill and earthworks where the Royal Hunting Lodge had been located. 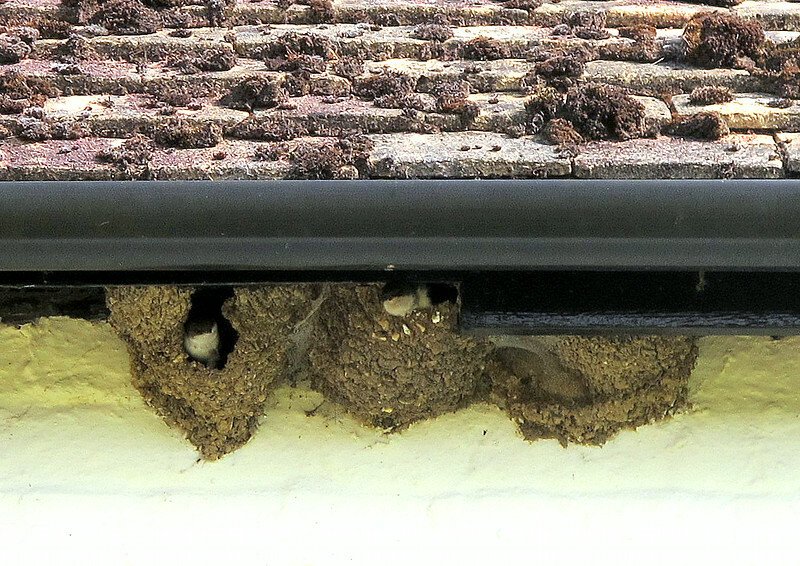 House Martins sitting in their nests on Holly Hatch Cottage. 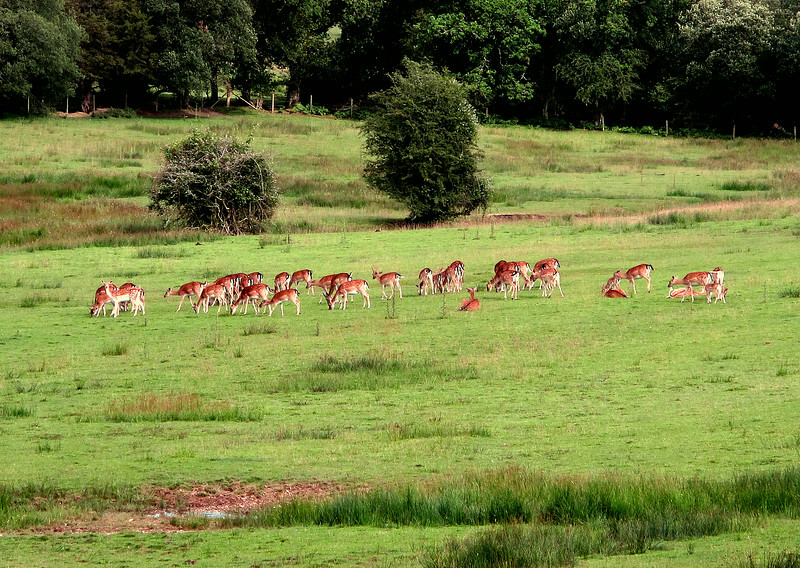 A large group of deer grazing near Broomy Lodge. 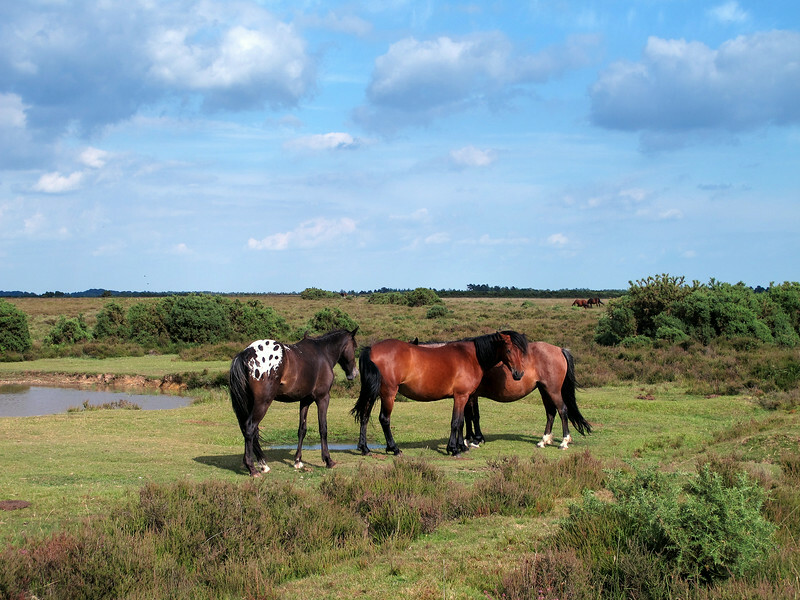 A group of ponies , one with a splendid spotted white rump. 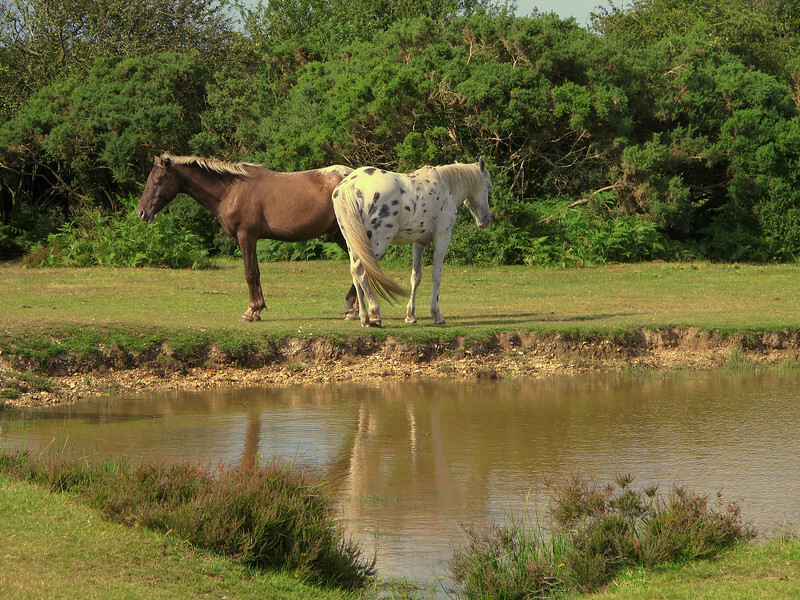 Two more ponies nearby at the same pond, each with signs of Pinto in their ancestry.